We have a big announcement: After closing out our year end, we have the final totals and YES! We did it with all of your help ... We met our $25K Challenge Match! Thank you so much to everyone who donated, gave, and shared the challenge. 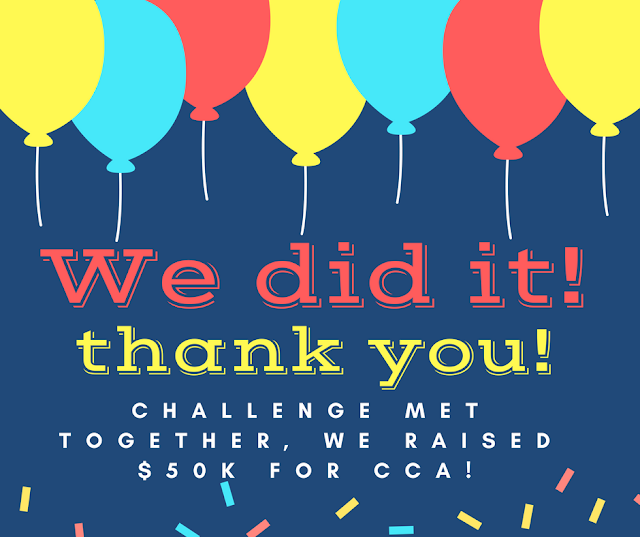 That means at the year end, we raised over $50K for CCA Kids. Thank you for helping us get there and continue another year of giving hope to families affected by facial differences. #ThankfulThursday THANK YOU!